*Priced To Sell! 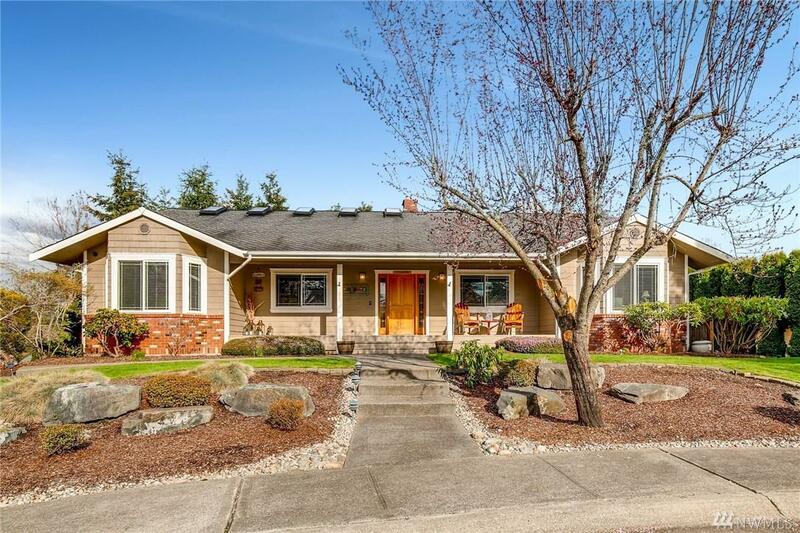 * Stunning rambler backed by greenbelt w/ Mt Rainier views from nearly every room. 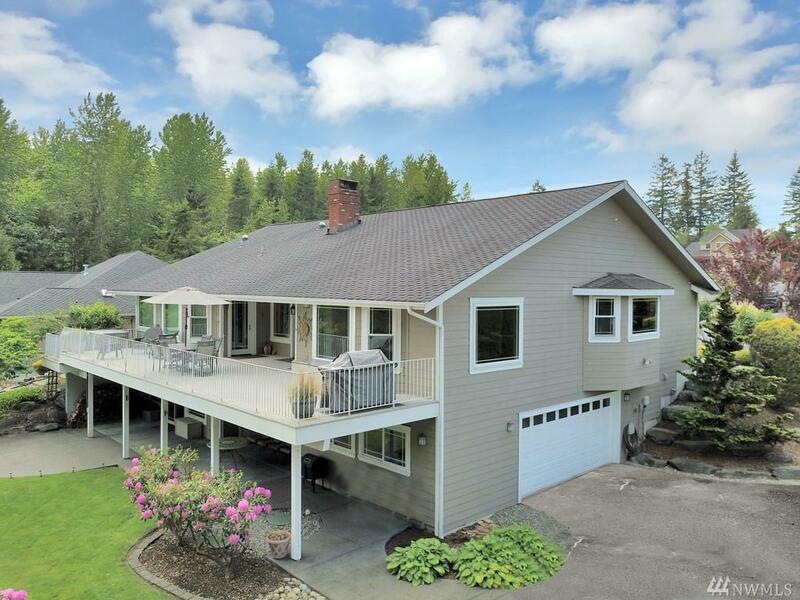 Open layout w/ vaulted ceilings, skylights & hardwood floors. Massive kitchen w/ double oven & huge pantry. 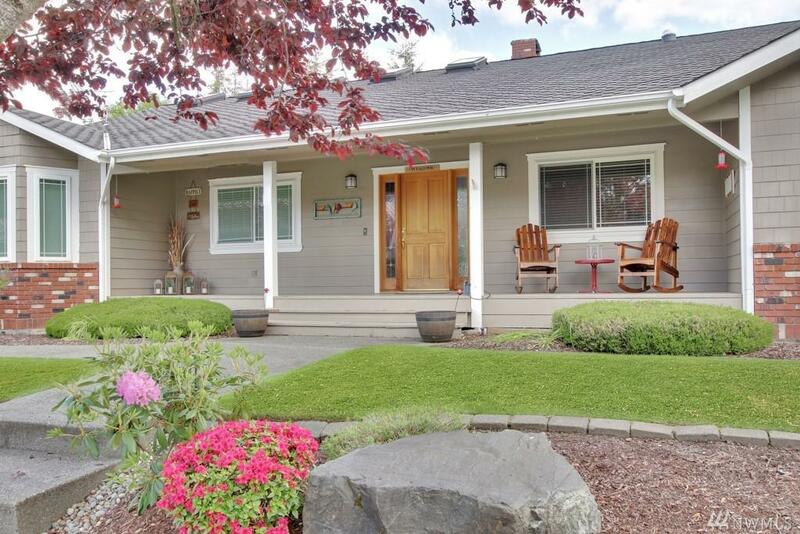 Master hosts 5pc bath, walk-in & exits to huge deck & hot tub w/ view. 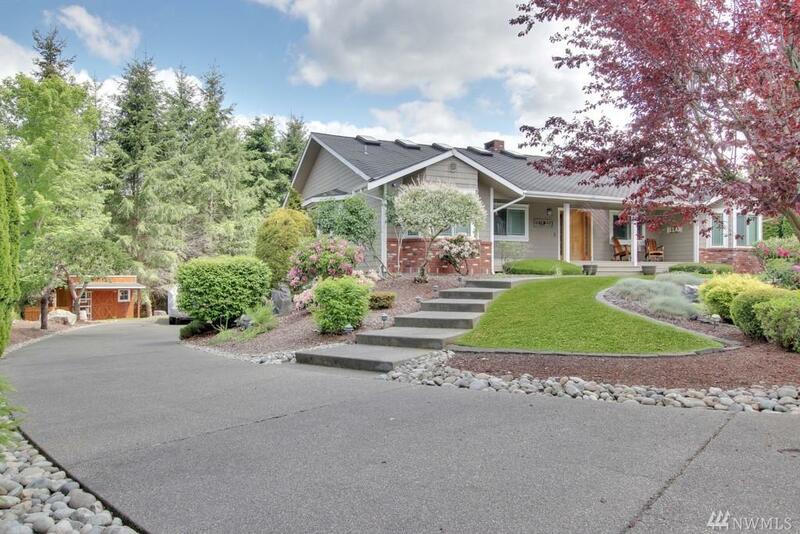 Daylight basement has pool table, wet bar, sauna & patio overlooking manicured yard. 2 fireplaces, 3-zone furnace, central AC & wired for generator. Incredible storage space & oversized 2-car garage plus wired shed.